West Sound Chorus is the performing chorus of the local chapter of the Barbershop Harmony Society , formerly called the Society for the Preservation and Encouragement of Barbershop Quartet Singing in America (SPEBSQSA), Inc. 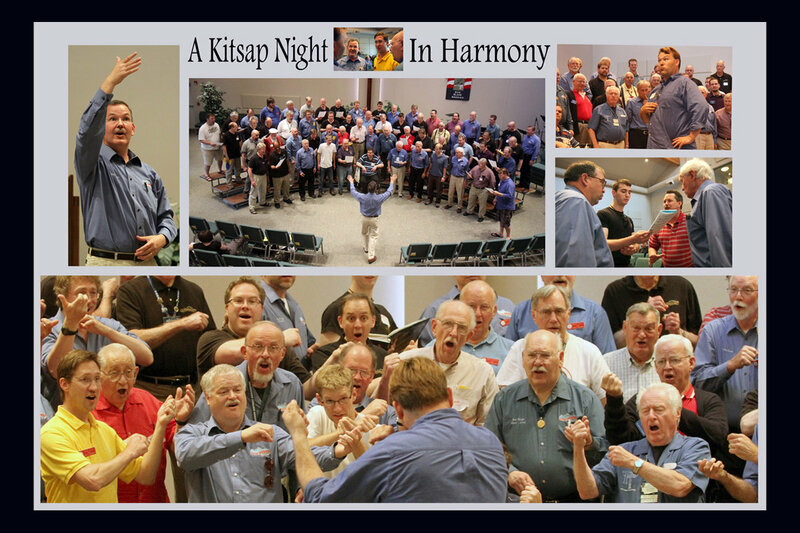 The Chapter organized in 1978 with a goal of becoming one of the best men’s singing groups in the area. In keeping with that goal, the chorus has been a very strong contender at the division and district competition level. The Chorus has an active singing schedule. In addition to preparing for competitions, they present a Summer Show, which features top World Class Quartet talent, a Christmas Show, which highlights more local talent, appear at seasonal festivals, perform for corporate functions, and are available to support other organization's charitable programs. Several active quartets are also available and are called on to entertain the public for special occasions. They are especially busy around Valentines Day providing singing valentines and at Christmas time singing Christmas carols throughout the community. In addition to supporting local charities, this nonprofit group also helps support other wonderful charities which are known in the barbershop community, such as Harmony Foundation, The Bud Leabo Memorial Fund, and Harmony Explosion Camp. Our core 501(c)3 non-profit mission is to educate in music in our community. We take every opportunity to support our local High School choir programs with grants and scholarships, and we also produce our own music education seminar on 4-part a cappella singing called, "Youth In Harmony." This all day workshop is typically Friday, all day, before our annual Summer Show, and is free for all youth. As an outreach to adults, we offer an opportunity for anyone (men, women, and family teens) to Come Sing With Us for the Christmas Season. You can learn or improve on 4-part harmony singing, improve your vocal skills, have fun singing with other enthusiatic singers, and perform on our show, if you wish. All provided at no cost to our guest singers. Just Come Sing With Us for 90 minutes each week starting in October! We rehearse from 7:00 - 10:00 pm each Wednesday at Olympic Evangelical Free Church, 14861 Silverdale Way in Poulsbo, WA.